Even easy enough for small hands! 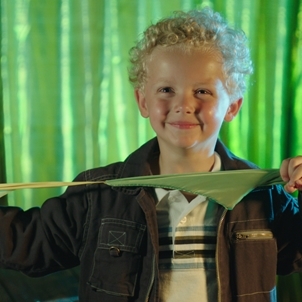 A blue handkerchief and a green handkerchief are tied together. 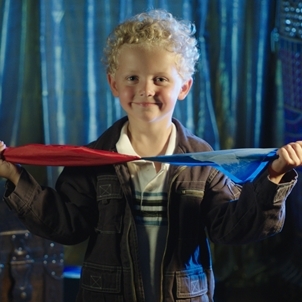 When you pull the scarves through your hand, they magically change to a red handkerchief and a yellow handkerchief! 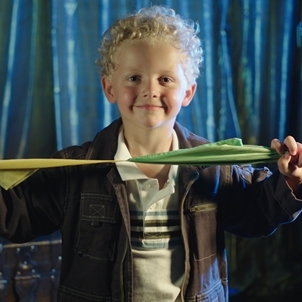 When you pull them through your hand again, they change back to a blue handkerchief and a green handkerchief! Can be repeated over and over instantly! These silks are big enough for adults- small enough for children! 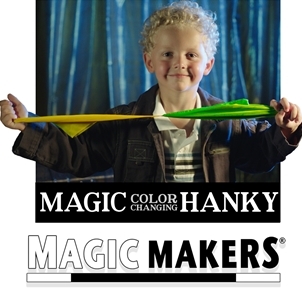 This trick is also known as Double Color Changing Hank or Color Changing Scarf or Color Changing Scarves. Silks are 12" measured diagonally. When fully extended, the tied silks are 24" long. Silks are blue, green, red and yellow.